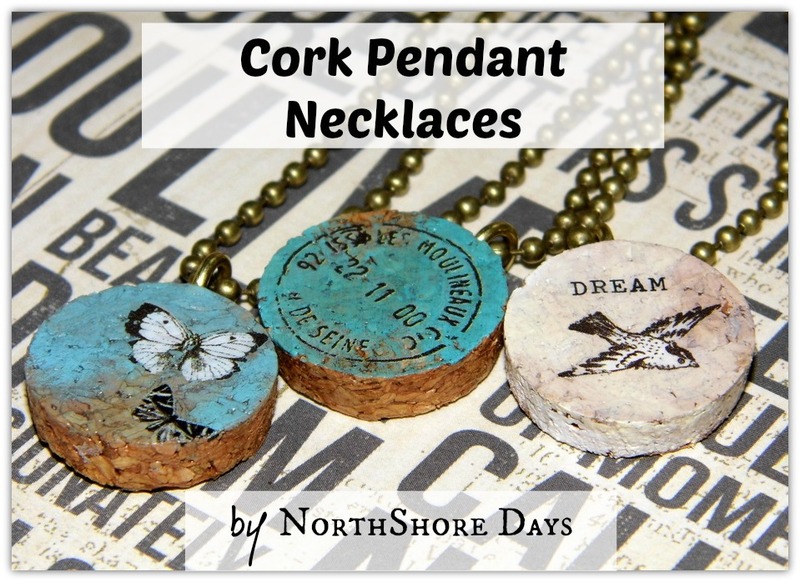 If you search for wine cork necklaces on Pinterest you will find all kinds of great ideas. 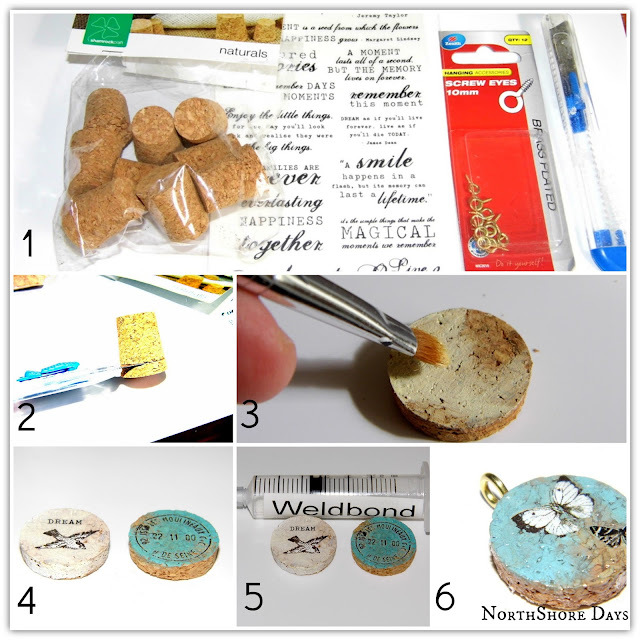 But I decided as an experiment, to combine, cork and acrylic paint and rub on decals... I like how my experiment turned out! 5. Seal and allow to dry. I seriously had so much fun making these and I am excited to try my ideas out on more. What do you all think? And which one is your favourite? I'd have to say mine is the turquoise stamp. Nat this is just the most beautiful pendant ever I love them! I haven't stopped by in awhile but I'm glad I dropped in tonight. Way cooooool necklaces. I love them. 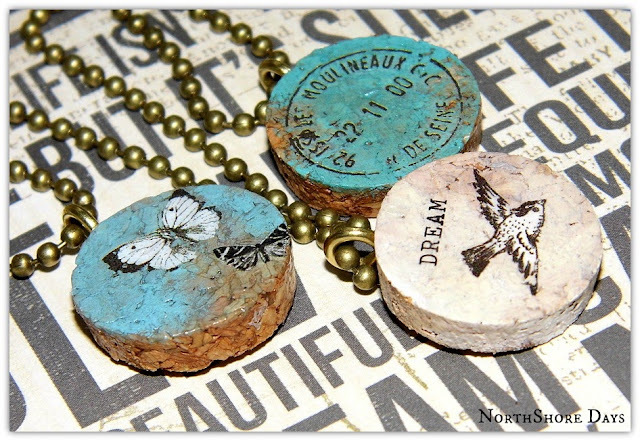 My favorite, since you asked, is the turquoise one with the stamp. Pretty neat that you have a stamp just the right size for the cork. Great looking jewelry here on your blog. I love these Nat! You come up with the coolest ideas! I have never tried the weld-bond before, but I'll look for it! I love the turquoise one with two butterflies. So pretty! So clever!! Those are so cool! Where did you get the rub on decals?? These are really unique and beautiful! !